PS: I believe Reb Eizikl of Komarno also didn't say the Mishnayos -- following the Arizal. May we be zokheh to kabbolas ha'Torah be'ahavah! I heard in a Shiur from R. Hadaia, Shlita, of Beit El,that those who can learn Torah should just learn Torah. And yet, there were many great Tsaddikim who simply read the Tikkun. 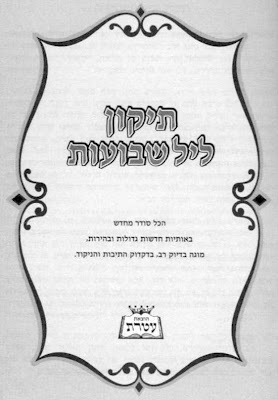 Over Shavuos, I read that the Satmar Rebbe (R' Yoel) used to say just the Tanach section of the Tikkun.